From a small fishing village, Marmaris has grown as a major resort destination in the region. This sleepy little village has transformed a lot following the construction boom since 1980. 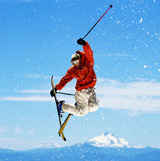 Tourism is the major activity and the main source of income. 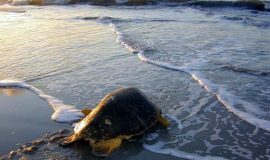 The population swells from 30,000 to around 400,000 in summer due to huge influx of visitors. Marmaris has ample facilities to best accommodate its guests and caters well to their holiday needs. The vibrant nightlife, amazing beachfronts, stunning countryside, crystal-clear waters, excellent culture and a warm hospitality have been the hallmark of this splendid place. 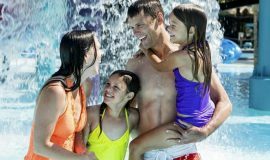 Marmaris has been growing along as a place for wholesome family activity. 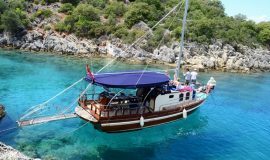 With a whole lot of things to do in Marmaris, the town welcomes visitors as groups, families, pairs and in single as well. 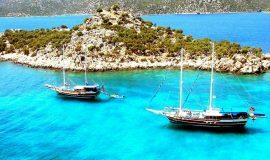 Apart from a bustling resort town Marmaris has a myriad of activities for its visitors to get involved in. 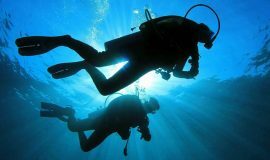 There is a whole range of things to do in Marmaris. The crystal clear waters are ideal for sailing, fishing, diving and swimming activities. 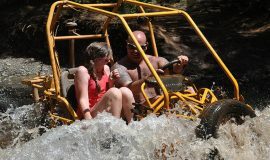 The countryside has splendid scenery and provides an ideal venue for some adventure rides including buggy, jeep and quad safaris. Horse safari is one of the most interesting things to do in Marmaris. The nightlife is vibrant with colorful night shows, club events and party dance. Once you arrive in Marmaris you must begin your holidays with an authentic Turkish bath and get refreshed for the rest of your stay in the town. With a myriad of things to do in Marmaris, one would never feel alone during their stay in this enchanting port town. 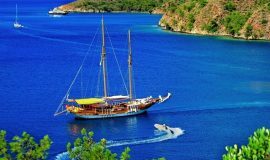 Marmaris with its picturesque setting of the mountains intersecting at the Mediterranean shore boasts of a pretty harbor. The town is crowned by a beautifully renovated castle and lined with vessels of visitors and wood-hulled yachts. The port town of Marmaris was a small fishing village just decades ago. History reveals that the town served as a base to Ottoman Navy. Known for its rich deposits of marble stone, the town was a major player in the marble trade. During the earthquake of 1958, the town was almost completely destroyed and only the Marmaris Castle and some other historic buildings were left undamaged. Since 1979, the castle has been renovated and transformed into a beautiful museum. Marmaris today is loud, busy and bustles with over a quarter-million people during summer. Shopping is one of the most interesting things to do in Marmaris. Marmaris has an abundance of shops and outlets offering a myriad of items on sale. Various goods available on sale include those from international brands to traditional ones. Shopping in Marmaris is a unique experience you’ll hardly be able to find elsewhere. 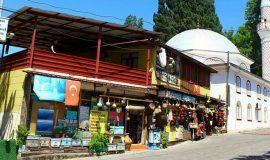 With an enormous choice of goods to buy from, the Marmaris market places are excellent grounds to sharpen your bargaining skills! You’ll be amazed to find a whole range of discounted factory items and high-class luxury items from top-end shops. You’ll find the best of the traditional carpets from Silk Road, exquisite jewelry at the Vogue Diamonds, branded clothes and boating accessories at the Netsel Marina. Marmaris has some of the most interesting markets like Marmaris Town Center, Marmaris Grand Bazaar, Nestel Marmaris Marina Mall and others. These colorful and bustling market places are a shopaholic’s paradise. Leather goods, gold jewelry and other items, backgammon sets, evil eye ornaments, decorative copper and wooden art products and local clothes are readily available here. Embroidery, traditional handicrafts, delicious jam and Marmaris Honey are also available. Marmaris Grand Bazaar near the harbor is home to goods of all sorts. This place has over a thousand shops selling goods from carpets to leather goods. This is one of the best places to bargain and find the best deals ever. One can buy handicrafts, ceramics, Turkish delight, jewelry, spices, and shoes, imitation of various international fashion brands, watches and perfumes here. Netsel Marmaris Marina Mall with over 20 elegant boutiques sells first-rate selection of branded boating accessories, fashion clothes, souvenirs and other luxurious goods. The Mall also features fine dining restaurants, cafes and bars. Marmaris is one of the better places to buy high quality leather products and gold jewelry at excellent prices. Bargaining is one of the things to do in Marmaris markets to get the best prices and deals. You can take help of a local expertise to help you in bargaining and get the best deals. You can get extra discounts while shopping as a group. We are certain that you’ll enjoy the most interesting shopping experiences in Marmaris and remember them for long. Adorned with beautiful and serene bays, and hills with lush green forests, Marmaris offers you some of the most picturesque views of nature at its best. 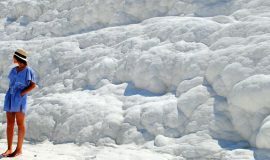 This place has grown as one of the best and biggest holiday resorts in Turkey. Located in the southwestern part of Turkey in the Mugla Province, Marmaris is one of the best destinations to unwind and relax during a hot summer vacation. Come along with your company of friends, family or partner, plan a perfect travel and stay, and enjoy a great time in Marmaris! 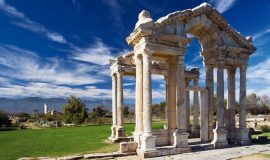 Formerly known as Physkos, Marmaris was part of the Carian Empire during the 6th Century BC. 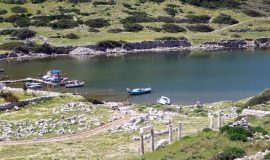 The Carians from Crete had settlements across the present Mugla Province and took over Physkos along with the natural harbor. After 300 BC, there was some disturbance in the area as Egyptians, Assyrians, Ionians and Dorians successively took over Physkos. However, the Dorians finally took over the Carian region. By 130 BC, Physkos was under Roman control and it was in 1425, that the town came under the Ottoman rule. By 1521, Sultan Suleiman changed the name from physkos to Marmaris and the present castle was rebuilt on its old foundation. The castle has now been converted into a Museum. 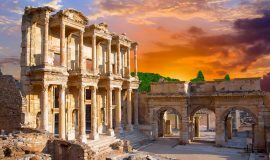 Turkey has been the seat of human settlements since ancient times. 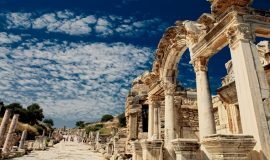 You can learn more about the history of this place by visiting the ancient and historic city sites at Ephesus, Pamukkale (Hierapolis and Necrapolis), and the Rhodes Island. Marmaris itself is one of the oldest human settlements dating back to 600 BC. Marmaris Museum at the Castle is one of the most interesting places an avid historian must visit. The Museum at the Marmaris Castle is the true reflection of its rich culture and noble past. The present day Marmaris may have changed a lot owing to influx of huge number of tourists and the construction boom. 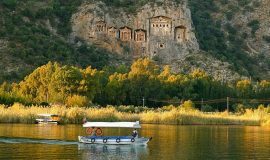 However, the villages around the town are perfect places to experience rich Turkish culture with warm and traditional hospitality at its best. We suggest you to take our Marmaris Village Tours to have a glimpse of Turkish Culture and Hospitality from a close quarter. The villagers are friendly, cook delicious food, serve food with care and treat you with warm hospitality. 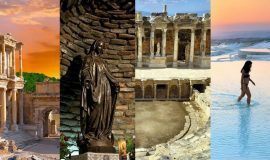 Our village tour and the night out at Kervansaray are two of the other best opportunities to learn more about Turkish hospitality and culture. Nightlife and Marmaris are synonymous in the region! The most popular resort destination in the region is also the top nightlife center. With an exotic beach front and enormous night clubs and bars, Marmaris offers ample opportunities for an incredible nightlife. Travelers flock around the popular nightlife centers by evening and the party catches pace and reaches its pinnacle by late night. At some places the party continues till early in the morning. The warm and rich Turkish hospitality is reflected in the myriad of services on offer at the nightlife centers. The bars, night clubs and hotels along the beach front and the city arrange various programs with loud music, dances and of course provide a huge variety of drinks and juices! If you are not liking too much of the partying, you can opt to settle down in some of the quite cafes and bars along the beach front. Even here, there is no dearth in warm hospitality, luscious food and the tastiest drinks. Travelers looking for sheer partying fun often tend to flock at the bars and night clubs in the Bar Street. As the name itself suggests, this area in Marmaris is studded with renowned bars and night clubs. One can enjoy the tastiest traditional food, sip the best juices, listen to loud music, and dance out the night in perfect ambience with lights around. Many of the clubs arrange belly dance and folklore shows, and traditional Turkish and popular western music shows are performed by local as well as renowned visiting DJs. The party that begins mildly by the evening catches pace very soon and is at full flow all through the night! Travelers looking for a different nightlife partying experience can opt to spend their night at the karaoke bars and the sports bars. Travelers to Marmaris with their family can choose to enjoy nightlife in some of the quieter places with sumptuous Turkish dinner and take night walk tours down the streets of Marmaris. Enjoying the night stay at Marmaris walking along the beachfront is also the popular trend these days. No matter what your age group is, no matter what your preferences are and no matter what the company you are with, Marmaris always has some of the most enthralling stuff to make a perfect nightlife experience for you! 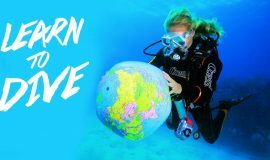 Going on Mamaris Canyoning Tour in this part of the world is a whole new experience for people who are conversant with canyon trips.